The VA�s �perfect storm� is the result of the idealists in Washington and the upper echelons of the Veterans Administration imposing their wishes on the pragmatists in the trenches. While the focus of the recent attention seems to be directed toward the VA employees who participated in scheduling infractions, the true blame probably rests in the unachievable obligations of the VA system itself. �Heads have already started to roll', and more are sure to follow. But just because some VA rule mandates that patients have to be seen within a predefined time, doesn�t mean it can be done--- at least be done without making sacrifices in other areas. Now that the issues within the VA have been pushed center stage, it is important to keep the issues of limited access of patients into the system separate from the other concerns such as bloated salaries for VA employees and prioritization of expenditures. These concerns are important and can be discussed in a further posting, but dilute out the importance of fulfilling the acute needs of the eligible VA population. In an imaginary example, a physician working in a VA clinic regularly sees four patients an hour--- the time that physician feels is adequate to take a proper history, perform an adequate physical examination and prescribe an appropriate course of therapy based on any diagnostic results. Because of pressure from the �powers-that-be�, that physician is now told his/her new allotment will be six patients per hour. In this scenario, although the physician is mandated to work harder and longer, usually with no increase in pay, it is the patients who suffer. They suffer because they have less time with their doctor to address their unanswered concerns and undiscovered needs when their doctor has to move on to the next patient. All health care systems have limited manpower and resources. When the patient demands exceed resources, there are only two alternatives that keep the system functioning: decrease the quality of care given to certain or all patients, or decrease access to the system. The ethical dilemma raised by allocation of limited manpower and resources by the VA hospitals is rationing. The VA has adopted the limiting access position as have Canada and England with their single payer delivery models. It�s a simple enough question: Given there is a fixed amount of resources, in the short term, how are those resources most ethically distributed? Divide them evenly, so that each party gets the same amount, or give more to some and less to others? Make health care services the limited resource. Does a delivery system then offer less than optimum care to all the eligible patients or does the system give optimum care to some, while delaying or denying access to others? The U.S. Veterans� Administration hospitals have a rule that medical care is to be provided to military veterans in a timely manner within 14-30 days. Due to the chronic deficiencies in staffing and inability to always comply with the 30-day rule, certain personnel in some VA facilities sought out tactics �to game the system�.� In 2010, then the VA�s Undersecretary for Health Operations and Management, William Schoenhard, released a memo outing the strategies used to get around complying with the appointment rule and ordered them stopped. These practices were recently brought to light at the Phoenix VA hospital, where allegedly at least 1700 veterans were victims of rigged lists when the wait time for an average appointment was 115 days. Additionally, allegations were levied that more than 40 veterans had died while waiting for their appointment. Allegedly, these practices are not just occurring at one VA facility, but were and are still pervasive in other facilities within the VA system. Due to these recent allegations, Congress has undertaken hearings with much of the attention directed toward Veterans� Secretary Eric Shinseki, who recently submitted his resignation over the scandal. Twenty years ago, annual performance reviews were instituted that seemed to have created perverse incentives to �cook-the-books�, with respect to the policy scheduling violations. �Fear was instilled in lower-level employees by their superiors, and those superiors did not want long wait times�, said Florida Congressman Jeff Miller, chairman of the House Veterans Affairs Committee. �Bonuses were tied directly to the waiting times of the veterans, and anybody that showed long wait times was less likely to receive a favorable review�. The latest census data for the population in Canada came in at over 35 million. Reportedly, there are 1365 hospitals located that supply care for our neighbors to the north. Similar to the VA system, they function under a single payer health care delivery model. Although there is a great deal of variance across the Canadian provinces, the average waiting time between referral from a general practitioner and the receipt of elective treatment is 18.2 weeks (127.4 days). The waiting time between referral by a general practitioner and consultation with a specialist has risen to 8.6 weeks (60 days). Britain�s National Health Service (also a single-payer model) has similar problems. In 2010, about one-third of England�s NHS patients, considered sick enough by their family doctor, waited more than a month to see a specialist. 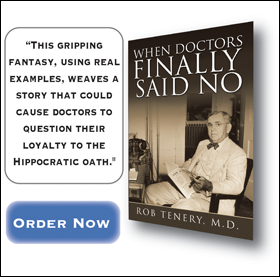 Realizing the critical nature of their inefficient system, where the mortality rate from heart disease was 36% higher than in the U.S., the �NHS Constitution� enacted a policy that �no patient should wait beyond 18 weeks (126 days) for treatment after a General Practitioner referral". The acuteness of the shortage of resources, beds and staffing is not new in the VA system. At least several recent administrations in Washington and probably most members of Congress have been aware of these problems for years. Some members of Congress have even advocated for solutions, but to no avail. That was until a number of our veterans reportedly died because of delays in receiving appropriate care. What is new is the awareness of these problems by the public. Increased morbidity and mortality due to delay of care is a tragedy, no matter the circumstances. Avoidable delay of appropriate care borders on being criminal. In looking at the big picture, as to the whys, there are at least four significant areas of concern at VA facilities: 1. A system that chronically is pushed to its maximum by unrealistic expectations with its current staffing level and patient load. 2. Very little patient restraint because patients assume little to no responsibility for their �first-dollar health care expenses�. 3. Lack of accountability by the VA employees for violations of protocol, or think their work is over when their shift ends, verses the private sector mindset of when the task is completed. 4. Chronically overworking and under-paying their primary care physician staff. One long-term solution would be to increase the physician staffing and the number of treatment centers within the system. On a more immediate basis, act on the growing call to refer certain patients with acute problems into the private sector for their care (a voucher system). The state Exchanges created by the ACA legislation could be another vehicle. A more radical approach recommended by a few, would be to get the VA out the acute care business altogether and, focus on what they do best--- long-term care and rehabilitation. The American public is shocked and dismayed when they hear about a 115-day waiting period for some of our veterans, while both Canada and England, also with single-payer models, experience almost the same delays on a regular basis. When Obamacare is fully implemented and if the Exchanges drive the competing private insurers out of the market, only the federal programs will remain. Then those wait times of 115 days for all patients will become the norm! 1.The Associated Press, The Dallas Morning News, May, 31, 2014. 2.�Oppel, Jr., R A., Goodnough A., The New York Times in The Dallas Morning News, May 30, 2014. 3.�Hospital wait times may have cost 44,273 women their lives over 16-year period: Fraser Institute/ Politics � Yahoo News Canada.